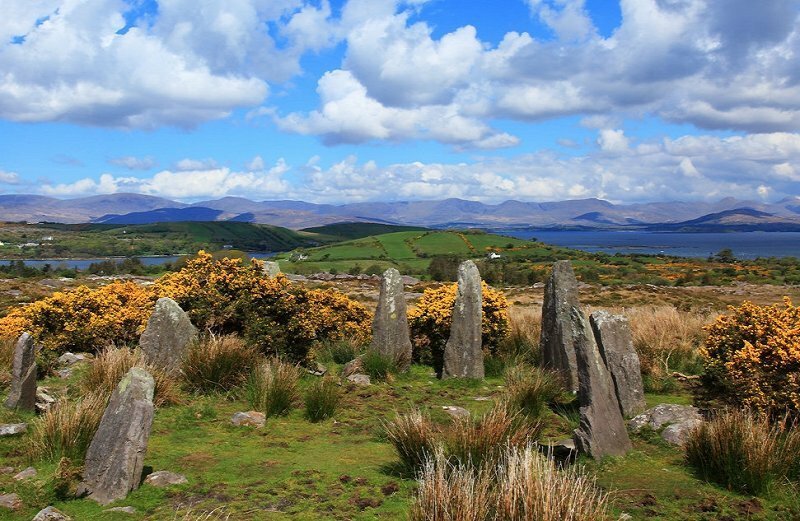 Ardgroom Leisure Village is nestled within the picturesque village of Ardgroom, Co. Cork on the spectacular Beara Peninsula. Perfect for cycling, walking and outdoor enthusiasts. For your convenience, WIFI is available at Ardgroom Leisure Village (€5 daily charge applies onsite). Ardgroom Leisure Village also boasts a steam room, sauna and aerobic exercise room onsite for added relaxation in stunning surroundings. Guests have free access to these facilities during your stay. Your pet is welcome at Ardgroom Leisure Village. The owners respectfully ask that you keep your pet in the kitchen/utility tiled area of the house. An additional cleaning fee of €35 applies, this is payable directly to the keyholder onsite. Please be sure to mention your pet on booking. Ardgroom Leisure Village is located in the village of Ardgroom, on the Beara Peninsula. It is a tiny village with a local shop/ post office/ petrol station and pub all within a minute’s walk of the holiday homes. This quiet little village is perfect if you're looking to get away from it all and enjoy the outdoors and being immersed in the local West Cork culture & craic!